In the securities brokerage industry, Selling Away is the prohibited practice by an Associated Person1 soliciting or affecting the sale of securities or investment products not offered or held by their brokerage firm, and without prior written consent. Securities sold away often include alternative investments such as private placements, promissory notes, non-traded real estate investment trusts (REITs), viatical settlements and collateralized loan obligations. These investments generally possess higher risk characteristics such as insufficient liquidity, high fees, and commonly mislead investors with the promise of high-yields and principal protection. Associated Persons are often motivated to sell these securities due to large commissions - often two or three times higher than the sale of a traditional product or security transacted through the broker. Although these investments may in fact be legitimate investment vehicles, sales transactions occur outside of the due diligence and compliance scrutiny of brokerage firms, lacking proper transparency and disclosure. Investors are often misled under the assumption the investment is approved by, and sold through, the Associated Person's brokerage firm. In reality, the investments are transacted directly by an issuer or through over-the-counter markets rather than national exchanges. In nefarious cases, these investments are entirely fraudulent in nature, representing shares in a Ponzi scheme or a fictitious issuing company. Selling Away often occurs at independent branch or satellite offices of broker-dealers, away from the direct oversight and supervision of the firm's compliance department. In addition to violating FINRA2 rules and regulations, brokers often do not fully understand the risks and complexities associated with these securities resulting in inadequate risk disclosures, if any, to the unsuspecting investor. Sales persons and marketers of these investments may also falsely or erroneously claim that the underlying product is not a security and exempt from registration. In FINRA Arbitration, Claimants and their counsel must demonstrate the member firm had direct or vicarious liability for the unauthorized transactions conducted by their Associated Person. Claimants will routinely allege they placed their trust and confidence in the broker and believed the transaction was executed through the representative's broker-dealer. Respondent firms generally assert they were unaware of the "off-the-books" sales and the Associated Person concealed the activities from their supervisory oversight and detection. An arbitration panel must determine whether the firm knew, should have known, or failed to prevent the conduct. FINRA Rules 32703 and 32804 set forth Member Firms' regulatory requirements for the review, disclosure and approval of outside business activities and private securities transactions. 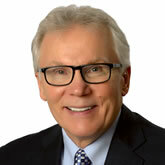 Bob Lawson is the President and Chief Compliance Officer of Barrington Capital Management, Inc. He is a Securities Litigation Consultant/Expert Witness, FINRA and NFA Dispute Resolution Arbitrator, Certified Fraud Examiner, Accredited Investment Fiduciary and a Qualified Neutral under Minnesota Rule 114 of Standard of Practices.